Mark Kenderdine-Davies, a British national, is General Counsel of CDC Group plc (CDC) with oversight of the company’s legal and regulatory affairs. Mark manages the company’s legal team and corporate secretariat and sits on its private funds investment committee. CDC, established by HM Government in 1948, is the world’s oldest development finance institution (DFI). Its mission is to support the building of businesses, to create jobs and make a lasting difference to people’s lives in some of the world’s poorest places. CDC is self-funding and invests from its own balance sheet of US$5bn. Receipts and profits from its investments are recycled into future investments. CDC provides capital in all forms, including equity, debt, mezzanine and guarantees, to fund growth. It invests both directly and indirectly through private equity fund managers whose aims are aligned with its own. As a responsible investor, it seeks to add value by helping companies achieve good standards of governance, along with strong environmental, social and integrity policies. CDC has committed approximately US$6.0bn to private equity funds and co-investments in Africa, Asia, Central America and Latin America since 2004. It currently targets fund, direct equity and debt investment opportunities in Africa and South Asia. Mark joined CDC in 2006 from Gartmore Investment Management plc where he was Legal Counsel focusing on private equity and other alternative investments. Prior to that, he was Legal Counsel at Threadneedle Asset Management Limited. From 1994 to 2002, Mark lived in Vietnam working in Vietnam, Laos, Cambodia and Myanmar as General Counsel/Senior Investment Executive at Indochina Asset Management Limited, the manager of two private equity funds, and as Executive Director of an investment company. Before the move to Vietnam, Mark was a partner at a London law firm. 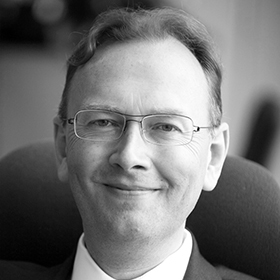 Mark is admitted to practice as a solicitor of the Supreme Court of England and Wales. Mark is also a Member of the Legal and Regulatory Committee of the African Venture Capital Association.